The WBT ‘Class of 2018’ were named in a glittering Awards Ceremony at the Potters Atlas Theatre where they were honoured for their contribution to the sport over the last 12 months. Reigning World Champion Mark Dawes was named as the ‘Players Player of the Year, while world No 1 and Potters Ambassador Greg Harlow was a well deserved inductee into the WBT Hall of Fame and Alex Marshall MBE, who became Scotland’s most successful Commonwealth Games athlete when he won a record 5th gold medal at the Broadbeach Games in April was presented with the Lifetime Achievement tribute. Scotland’s David Gourlay, who was presented with his MBE at Buckingham Palace in November by Prince Charles had to find more space in his trophy cabinet. Nominated in four categories, the Ayrshire legend was honoured to be named the Player of the Year. 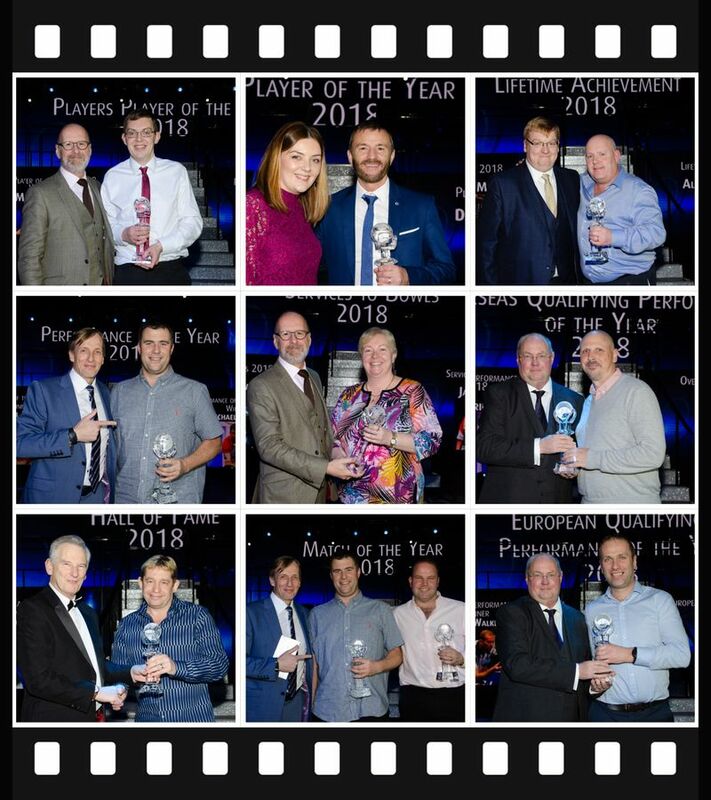 Midlothian’s Colin Walker was the European Qualifier of the year while USA’s Dan Le Messurier was overwhelmed to pick up the Overseas Qualifier of the Year. Bowls commentator Janice Gower was rewarded for all of her efforts in furthering Disability Bowls with the ‘Services to Bowls’ recognition. After a lavish meal and Awards Presentation, an evening of top entertainment followed from the Potters Theatre Company. All in, a fantastic way to start off the 2019 Just. World Indoor Championships.